Keystone real estate appreciation levels have experienced plenty of ups and downs since the mid 1990’s. This may be due to the large addition of the River Run Village and the revamping of the Keystone base area during that time. With a tremendous number of new development opportunities on the market in the mid 90’s, Keystone reached a 30% rise in appreciation in 1996. Then in 1999 the average price dropped by 13%, but gained a 17% increase in volume sold. Throughout the late 90’s and early 2000’s, Keystone investors were still competing with the new project and development pricing. Many of these investors thought they could get in and do a “quick flip” which has been the norm in Summit County. But, with the tremendous number of new properties, many investors experienced losses. In 2001 Keystone real estate was up 5%, and then in 2002 Keystone really suffered, dropping by 33%. Although the Keystone real estate market has had its ups and downs, it seems to be back on track with much fewer properties on the market and appreciation levels rising steadily. Keystone continues to be destination resort and a favorite ski vacation area for people around the world. It seems just in the past several years we’ve been getting more and more calls from people wanting to buy real estate in Keystone. It will be curious to see what the future brings to Keystone, but I have no doubt in will continue to be a real estate hot spot just as Breckenridge and Frisco are. And unlike Aspen, Vail, Beaver Creek and Telluride, Keystone real estate proves to be “reasonably priced” and a great investment by many buyer’s standards and expectations. Come and view some properties soon. For more information, charts and graphs on Keystone real estate click here. Keystone was named in the late 1800’s by a gentleman from Pennsylvania (the Keystone State) who came in search of gold. In 1970 the resort was founded by Max and Edna Dercum. Today, Keystone is one of the most popular ski destinations in the country and hosts North America’s most high tech snow making system. Year after year, Keystone is one of the first ski resorts to open in North America and is known for its wide, groomed trails which offer a multitude of entertainment for all ages. Keystone Resort spans seven miles along the Snake River, 3,128 vertical feet and encompasses three easily accessible mountains – Dercum Mountain, North Peak and The Outback. 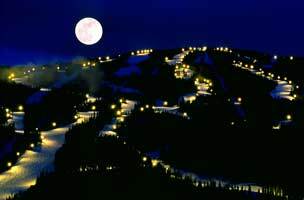 If you can’t get enough, Keystone is the only Summit County resort to offer night skiing; this allows for 12 hours of skiing daily. For the more adventurous skier or rider, the resort offers an enormous terrain park and snow cat tours. The world class Keystone Conference Center is surrounded by snow-capped peaks and championship golf courses, making it one of the most popular convention destinations in Colorado. Keystone Village and River Run offer an array of shops and restaurants to suit any taste and every budget. Keystone also offers an abundance of other activities, including gondola and sleigh rides, ice skating, cross county skiing, snowshoeing and snowmobile tours. In summer time, enjoy paddle boating on Keystone Lake or mountain biking on the rugged trails. There are plenty of summer and winter activities for individuals and families alike. For more information on Keystone real estate contact Kelli today!